For centuries, the French Riviera has held a certain allure that very few places in the world can attest to. There is magic here, in this eastern corner of the south of France; a charm that resonates with every sunrise and every sunset. The colours, immortalised in the finest paintings, invoke dreams; the smells and experiences linger for lifetimes. 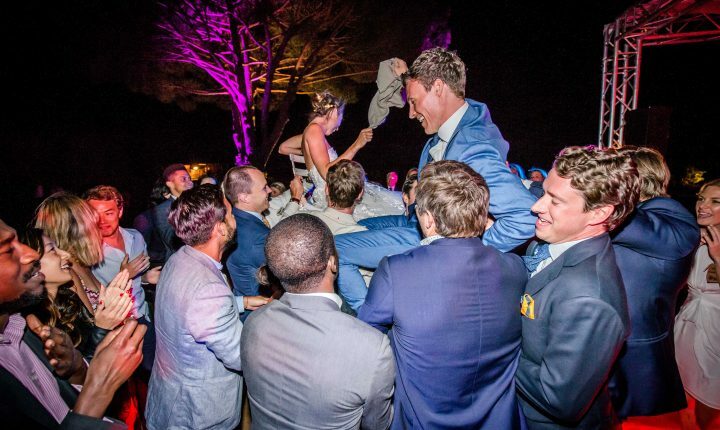 The French Riviera is romantic in every sense of the word, and that is why so many people travel from across the globe to celebrate their wedding here in front of friends and family. With all members of the band based here, Spyglass is the most popular wedding band in the French Riviera, speaking both English and French. With the French Riviera as a backdrop, the scene is set for an incredible wedding experience. There is a very large number of options when it comes to locations to host a wedding ceremony and reception… the stunning Villa Chateau la Tour overlooking the coast of Nice, the luxurious Chèvre d’Or in iconic Eze village with its views of the Mediterranean, the magical gardens of Villa Ephrussi de Rothschild in exclusive Saint Jean Cap Ferrat. These are but a taste of the incredible locations available on the French Riviera coast. Inland, there is magic to be found in ancient chateaux crowned with precious grape vines, enchanting bastides with gardens basking in the riviera sunshine, and lavish luxury villas. The French Riviera is where wedding dreams are realised. Choosing a location for the wedding is one of the most difficult decisions to be made. Thankfully, deciding on the French Riviera wedding band is the easy part. Spyglass has performed at most of the popular wedding venues in in the region, ensuring a seamless, stress-free and impressive experience for all involved.